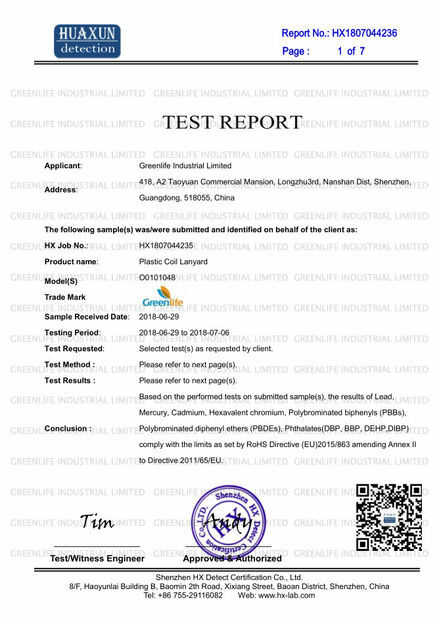 Direct factory from China, have professional experience in this field. 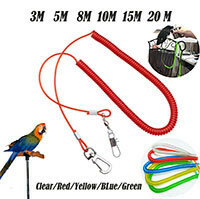 Welcome any customized coiled cable production, different size, different color and so on. 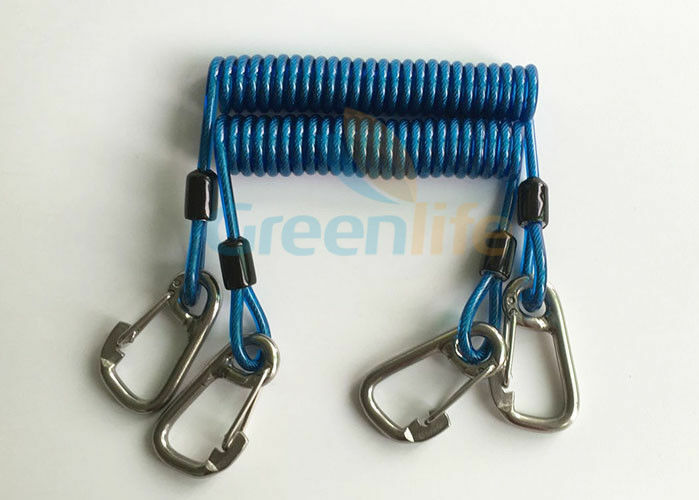 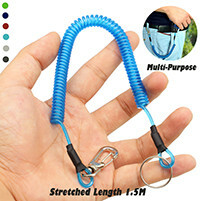 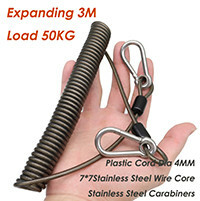 Wire coil lanyard have unique swivelling design, prevents tangles and headaches the coiled design can cause and reduces recoil force preventing aggressive snap back, its safe working capacity is stronger, which depend on different sizes details. 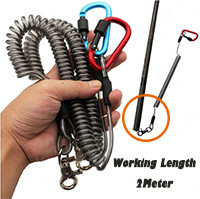 Wire reinforced coiled rope constructed with PU coated aircraft cable for ultimate strength and durability for attaching tools, with quick release buckles or carabiners for locking connection, reduces risk of loss of valuable equipment and facilitates and snag hazards of traditional lanyard while preventing droppe objects. 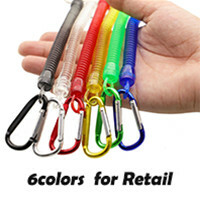 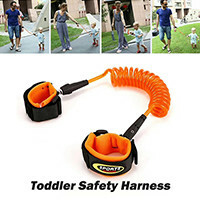 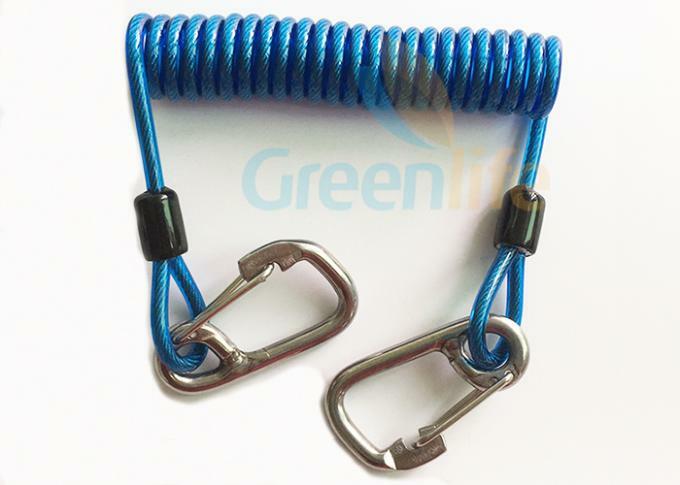 It is now most popular and hot protection safety coil leash for especially construction industry. 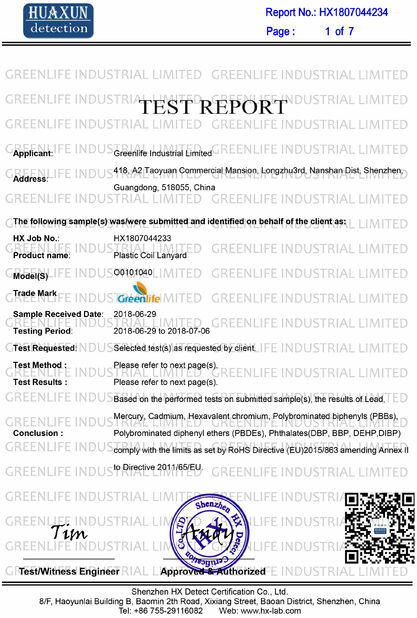 GREENLIFE in China supply OEM / DIY production.